Winnipeg Jets defenceman Zach Redmond is recovering in hospital in Raleigh, N.C., after he underwent surgery on Thursday for injuries he sustained during practice. Redmond underwent surgery on Thursday to repair a laceration to his right femoral artery and vein, the team said in a news release. The team was taking part in a one-on-one drill near the end of their practice when Redmond fell. A teammate then accidentally skated over his thigh, cutting the back of Redmond's leg. He was taken to a hospital in the Raleigh area, where he went through three hours of surgery, according to the team. Redmond is playing his first NHL season with the Jets. The rookie has played eight of the Jets' 15 games. The team said Redmond is "currently resting comfortably in recovery and is expected to be out an indefinite period of time." 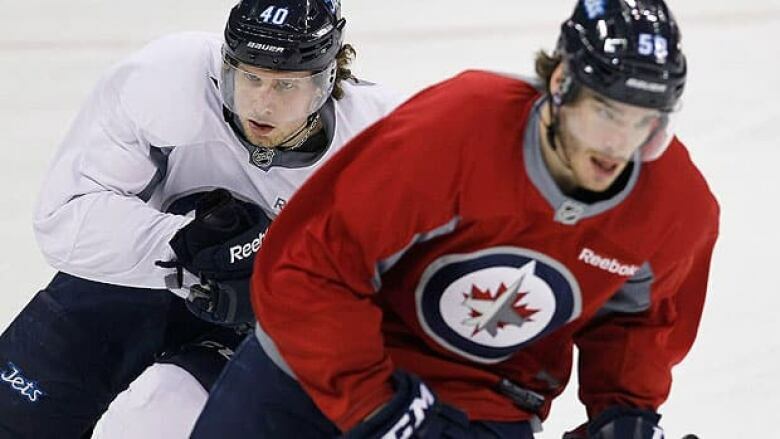 The Jets take on the Carolina Hurricanes on Thursday night.